Natural flea control products are a great choice if you want to avoid the chemicals in most mainstream flea and tick preventatives. Fleas are a common parasite and a flea infestation can make your poor dog itchy and miserable. They multiply ridiculously fast and 'a few fleas' can turn into an army in a very short space of time. This army may consist of small soldiers, but they're incredibly tough and once they set up camp on your dog you're in for a battle. So... prevention is your best defense against fleas (and ticks too). 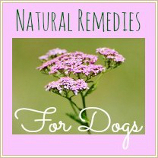 Why Use Natural Flea Control for Dogs? Chemical-based flea control products for your dog/cat can be an effective way of protecting Fido from fleas and ticks, but they can cause both short-term and long-term side effects (sometimes very serious ones). 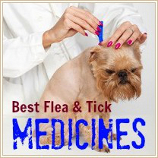 You MAY want to use mainstream flea products IF.. If you adopt/buy a puppy or dog who has a severe flea infestation problem then using a chemically-based flea medication may be the best route as long as it's a short-term solution to get rid of the generations of nasty little critters taking over your pet. 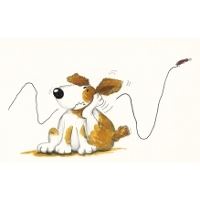 Once the infestation is overcome you can switch to using natural flea treatments and products on a long-term basis. Adverse reactions to flea products can include something as mild as skin irritation or inflammation (although mild, very uncomfortable for your dog) or something as severe as a seizure, organ damage or death. The toxic chemicals in topical treatments can accidentally be transferred to the humans in the family (especially kids who love to full-body hug the dog). Currently, no studies have been done on the long-term effects of applying pesticide-based flea products to dogs on a regular basis. Fleas are also hardy little bugs and are able to build up an immunity to pesticides over generations (and the way fleas breed, these generations are changing in weeks, not years!). I know from personal experience that products which used to work well, don't any more. For mild to moderate dog flea problems, natural flea control products can be extremely effective, without any of the potentially dangerous side-effects of chemically-based ones. This makes them a great choice for the majority of well-taken-care-of household pets. When there is a flea problem you need to attack the bugs at all stages of development (eggs, larvae, pupae and adult flea) in order to get rid of the problem. Relatively speaking there are a LOT more fleas in the developmental stage (eggs, larvae and pupae) than there are adults. So those little bugs you see crawling or hopping around on Fido, or your carpet, are just a small percentage of the ones about to be visible. Yikes! Treating your dog, your home and your yard simulataneously is absolutely vital if you want to wage war successfully. First of all, a healthy dog with a good immune system is a less enticing host for fleas, so keeping your dog in tip-top shape is the foundation you want to build on. 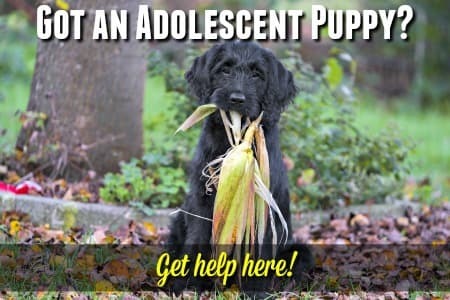 Choose a high quality dog food (find out how to do that here) because a healthy and nutritious diet is the foundation of health. Make sure that Fido gets regular veterinary care so that any problems or conditions can be diagnosed and treated quickly. This way his immune system will be strong and work at optimum efficiency. Make your dog less 'tasty' to fleas! During flea season you can try adding a garlic/brewers yeast supplement to your dog's diet as studies show that fleas really seem to dislike blood that is 'flavored' this way. There are several to choose from, this is one that I like Nutri-Vet Brewers Yeast with Garlic. These are tasty liver-flavored chewables which you'll have no trouble getting Fido or Fifi to gobble up. Regular 'screening' for flea scouts or advanced troops can be done with a simple flea comb during regular home-grooming sessions. Sometimes you may actually catch a flea using this comb.. but they're fast little critters and if your dog has long or thick fur they are masters at staying hidden. The way to check for loitering/hiding fleas is to look for what looks like crumbs of black 'dirt' in Fido's fur... often checking around the neck and ears, and at the base of the tail are the best spots to try. These crumbs are most likely not dirt, but flea poop (ugh, I know). To be certain about that you can put the dirt on damp white paper towel or a dampened sheet of white paper and they should leave red/rusty marks on the paper. This is because they contain your dogs blood. A flea problem is much easier to treat when there are just a few fleas to deal with, so if you find flea dirt, or fleas on your dog, you need to get on the offensive right away. If your dog has fleas, you can bet your bottom dollar that they're not just ON your dog. Adult fleas hop on and off of your dog on a regular basis, but they tend to lay their eggs elsewhere. Carpets, under baseboards, in the cracks and crevices of soft furnishings... there are lots of hiding places for these nasty little bugs to hide. As adult fleas generally only account for about 5% of the flea population at any given time, there are MANY more fleas-in-the-making (ie eggs, larvae and pupae) that need to be killed as well. So, if you're waging war on fleas, you need to treat Fido of course, but also treat your home and yard to make sure that every flea, or flea-to-be is killed off. There are a whole host of popular and very effective natural flea control products available for you to choose from. As I mentioned above, you need to target fleas at all stages of development and in all the places they like to spend their time. Products which kill adult fleas, flea eggs, flea larvae and flea pupae need to be applied to your dog, your carpets, furnishings, bedding and dog beds/blankets. Also to your yard. You'll also want flea repellents to make sure no new little critters take up residence after the old ones have been evicted. If you can make your dog unappetizing to fleas you'll be able to protect him much more effectively. There are certain scents/tastes that fleas don't like, and you can use this to help repel fleas - as well as flies, mosquitoes and other annoying little parasites. Essential oils often feature prominently in these types of natural flea treatments for dogs because they're effective as well as being gentle. If you want to treat your cat, don't assume a dog product will be okay just because it's 'natural'. Some dogs may have an allergic reaction, or develop a rash or irritation from any product - natural or man-made. Do keep an eye on your pet and if you notice any skin, digestive or breathing problems or anything else unusual, stop using the product and have your vet take a look at him. Important Note: Cats don't tolerate essential oils at all well, so always make SURE whatever you're using specifically says it's suitable for cats. This awesome bar is part of a fantastic range of all natural organic pest control products. Contains Citronella and Geranium to repel fleas and other biting insects. Neem Oil helps relieve itching and soothe and repair irritated skin. The first one featured uses electromagnetic frequencies to keep parasites at bay. The second one uses your dog's own bio-energy to build up a barrier which repels fleas (I'm not science-savvy so can't explain this process, but it seems to work!). Your dog needs to wear one of these tags for several weeks before they become fully effective. ** These tags will NOT kill fleas. They are purely for repelling them. They can be used in conjunction with any other natural flea control product and are a clever, innovative and totally safe way to repel fleas and other biting insects. Just attach the shoo!TAGs to your puppy or dog's collar and wait for the protective barrier to take effect. Maximum strength is reached after approx. 36 hours of wearing the tags.The tag is effective for up to 4 months. No odor, no chemicals, no mess! This tag utilizes your dog's own biological energy to create a frequency-based shield which prevents fleas/ticks from jumping onto your pet. Absolutely no chemicals or pesticides involved. Flea repellents are a good choice if your pet isn't already host to a colony of the little critters. BUT, if Fido already has resident fleas then you need something that's going to kill them off - no matter what lifestage they are in. Natural, human-grade ingredients which safely repels AND kills fleas, ticks and mosquitoes. 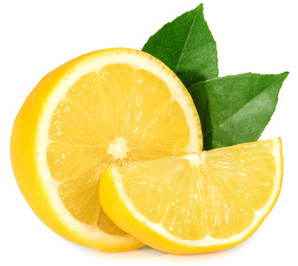 Active ingredients are Cedar Oil and Lemongrass. Safe for dogs and cats of all weights/ages. 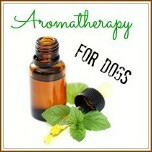 Contains peppermint, cinnamon, lemon grass and thyme oils to repel and kill fleas, ticks & mosquitoes. These natural ingredients attack the parasites central nervous systems and kill them almost instantly. It's applied to the skin between the shoulder blades. One application is effective for up to 4 weeks. Water resistant 24 hours after application. This product uses the same blend of natural botanical oils as the topical treatment above to repel and kill fleas, ticks and mosquitoes. Non-aerosol pump spray makes it easy to apply to your puppy or dog without inhaling it yourself! This natural flea treatment also contains a unique blend of natural oils to kill and repel fleas and ticks on contact (including flea eggs). Includes peppermint oil and clove oil extract. Fresh smell and gentle and soothing on your pup's skin. Suitable for puppies 12 weeks and older. 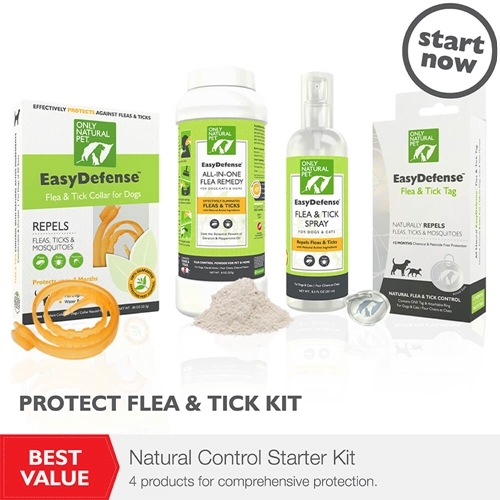 All four of Only Natural Pet's EasyDefense Kits (Repel, Prevent, Protect or Ultimate) contain the very best, most effective and safest natural flea control products available. The powerful, science based formulas are chemical free so you can protect your dog safely and effectively. Products that use naturally-occuring Pyrethrins (and not synthetic versions called Pyrethroids which are chemical compounds) are environmentally safe and are effective against fleas, mosquitoes and other insects. But they are not without risks and can still be dangerous, or even toxic, to some dogs. Pyrethrin collars shouldn't be handled or played with, and sprays, dips or powders shouldn't be allowed on your skin or inhaled. Gentle Pyrethrin formula eliminates fleas and ticks and repels flying insects. Safe for puppies, kittens and pets with sensitive skin. This is a product that's one-step-up from a shampoo and is best used to treat a dog/cat who already has a flea problem. Effective for approx. 2 weeks after 'dip'. Last, but not least, here's a safe, non-toxic and natural product that you can use to repel and kill fleas, ticks, flies, mosquitoes, mites and intestinal worms. It's called FOOD GRADE Diatomaceous Earth. Don't get the stuff that's made for swimming pools, it doesn't work and is toxic to dogs, you need the 'food grade' kind. You can rub this powder into your dogs coat and skin, sprinkle it over his bedding, the carpets, grass, earth or concrete and also add it to his meals as a food supplement. This powder is totally non-toxic and will start killing biting insects within about 72 hours. DE is a very fine powder and the easiest way to disperse it over your pet and his surroundings is by using a Pest Pistol Mini Duster. Word of warning: Diatomaceous Earth shouldn't be inhaled by you or your dog. So don't 'puff' or sprinkle it around his muzzle and wear a mask (or hold your breath which is my approach) while applying it. Also avoid contact with eyes (yours or his). If, in spite of your best efforts, your dog does end up with a tick (or several) it's important to remove that tick as quickly as possible. Ticks spread disease but they need to be latched on for at least 12 hours (some studies say 24 hours +) in order to cause that kind of trouble. If you've ever tried to remove a tick using tweezers you'll know how tricky it can be. That's why I strongly recommend a proper tick removal tool for this job! Comes with two tick twister hooks so that you can remove any size tick easily and quickly, without leaving behind any mouth parts which can lead to infection. Tick is held firmly in hook for easy disposal. Recyclable material. Easy to clean/disinfect. Slip the grooved bowl between the tick's body and your dogs' skin and then slide forward to remove tick cleanly. The bowl 'catches' the tick and keeps it there for easy disposal. Can be used for tick removal on people as well as pets! These Tick Keys remove ticks quickly. Small and light, designed to fit easily onto your keyring or to your dog's collar or leash so that there's always one handy when you're out and about. The only drawback to these is that there is no 'catchall' for the tick, so sometimes that tick gets dropped... and who knows where it goes then! Fleas don't just live on your dog or cat, they also set up shop in carpets, soft furnishings, bedding, under baseboards, in soil/grass and in many other indoor and outdoor areas. It won't help much if you repel and/or kill the fleas on your dog if his surroundings are still teeming with their relatives! So, when you treat your pets for fleas it's very important to treat your home, and probably your yard, too. Safe, organic, 100% bio-degradeable formula which is effective in killing fleas, mosquitoes, ants, cockroaches, chiggers and more. Active ingredients is Cedar Oil. Totally safe, even when wet. Can be applied with a hose-end sprayer or compressure/pressure applicator. This product is for outside use. See next product for inside use. This is the same formula featured in the 'Treatments for Dogs' section above. That's because not only does it provide safe and effective natural flea control when applied directly to your dog, but also works equally hard to kill fleas (in all life-stages) on bedding, carpets, dog blankets, furnishings and more. 100% natural. Active ingredient is Cedar Oil & Lemongrass Oil. This safe, natural formula contains a blend of Peppermint Oil and Clove Extract to kill fleas (including eggs), ticks and mosquitoes on contact. Has a clean, fresh scent. No Pyrethrins. Safe for use around puppies 12 weeks of age or older. A concentrated spray containing Peppermint Oil and Clove Extract to kill fleas, ticks and mosquitoes on contact. Attaches to your garden hose for optimum dilution and easy use. Doesn't hurt grass, flowers, shrubs or trees. Treats approx. 4500 square feet. 100% botanical formula which includes Cinnamon, Cedar Wood and Clove oils. Kills and repels fleas, ticks, black flies, deer flies, mosquitoes and gnats. Easily attaches to your garden hose. Treats approx. 4500 sq.ft. In addition to all the products listed above, there are a LOTS of 'home remedies' that people swear will repel/kill fleas. If a particular DIY remedy has been around for a long time, generally there's some truth behind it! I would only recommend trying a home remedy for a dog who has just a few fleas. Fleas infestations can cause serious health problems if they are allowed to get out of hand. For a mild to moderate flea problem either one/several of the natural flea control products listed above is a good option. 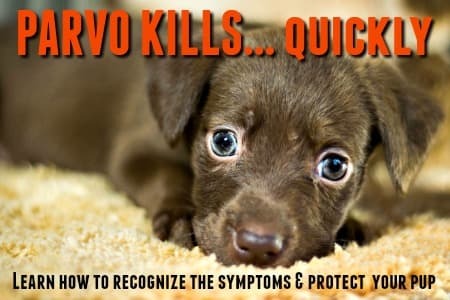 For severe cases, follow your veterinarian's advice. I can't promise you that any of the following home remedy for flea suggestions will work with a high degree of effectiveness, but if your pet only has a few fleas and you want to try a home remedy, what do you have to lose? You will probably have a lot of the ingredients/products you need for these already in your home, if not they're easy to find in the stores. 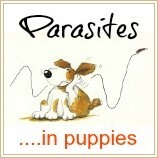 To find a whole host of home remedies for dog fleas check out my Home Remedies for Dog Fleas page.